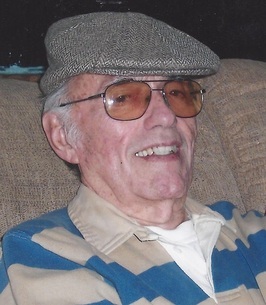 Robert F. Howard, age 87 of Southbury, formerly of Seymour, beloved husband of the late Barbara Ann (Behuniak) Howard, entered peaceful rest on Thursday, January 18, 2018, at the Lutheran Home of Southbury surrounded by family. 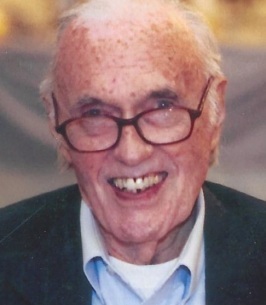 Born in Hartford on May 9, 1930, he was a son of the late Harry P. and Madeline (Donlon) Howard. A U.S. Navy veteran during the Korean War, Mr. Howard was an avid Yankee, Giants and UCONN Women’s Basketball fan. He loved the beach and animals. Robert also enjoyed playing softball, eventually umpiring local games, and coached CYO basketball games. Survivors include his beloved daughters, Donna Baia and her husband Leon of New Haven, Cindy Fortenberry and her husband Bill of Woodbury, and Judith Howard of Seymour; brother, William Howard of AZ; sister, Janet Maturo and her husband Gerard of Hamden; three adored grandchildren, Roman Jr., Danny and Billy; three cherished great grandchildren, Aurora, Clark and Roman III, several nieces and nephews, as well as his longtime best friend, Joyce Yaroshevich. In addition to his wife, he was predeceased by his brother Harry “Bud” Howard and his wife Gladys, and his sister-in-law Kathleen Howard. A Memorial Service celebrating his life will take place on Friday, January 26, 2018 at 6 p.m. in The Ralph Hull Funeral Home, 161 West Church St. Seymour, CT 06483. Friends are invited to greet the family from 4 p.m. until the time of service. Interment will be held at the convenience of the family. In lieu of flowers, please consider donations in Robert’s memory to Connecticut Humane Society 701 Russell Road, Newington CT 06111. To send flowers to the family of Robert F. Howard, please visit our Heartfelt Sympathies Store. In Loving Memory of our Brother and Uncle.